Eight years ago I started a blog. I called my first post: Something to Say. I started a blog because I have a lot to say and needed a forum to say it. As a psychotherapist I struggled with how much of my story and my “self” to reveal. Back in the early 1990’s therapists didn’t tell our own stories. In those pre-internet days, books, journals and print media were how mental health practitioners shared professional knowledge. And the stories we told were most often not our own, but those of clients or patients we’d worked with. It just wasn’t the way things were done. Post-modern and feminist egalitarian approaches to therapy made room for more flexibility in terms of how much of our “selves” to share with clients. And with that shift an increasing number of clinicians began choosing to share pieces of our own stories as a way to normalize and empower clients on their healing path. The introduction of digital media, blogs and websites changed the professional ethos around self-promotion and self-disclosure. While these shifts made space for revealing more of myself, I felt a tension about how to write and what voice to write from. I also feared that my increasingly open, inclusive and inter-spiritual approach to how I understood the good news of Christianity would generate negative responses and argumentation from the evangelical community I’d called home since my teenage years. So, I started a blog and began sharing my story. Since then, I’ve posted 188 blogs! Because, I have something to say! You have something to say too. Your family, friends, community, and a hurting world need you to say what you have to say. Be brave. Join us – Friday evening, September 22 – Harvest: Shared Meal & Storytelling gathering. 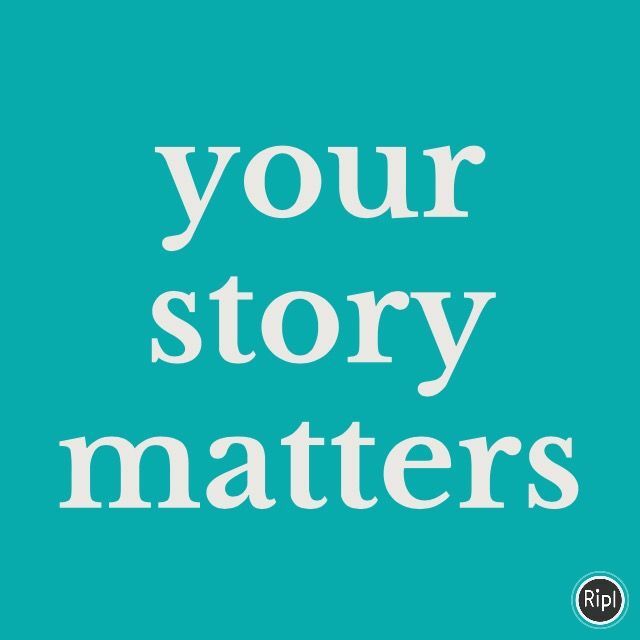 Because your story matters.